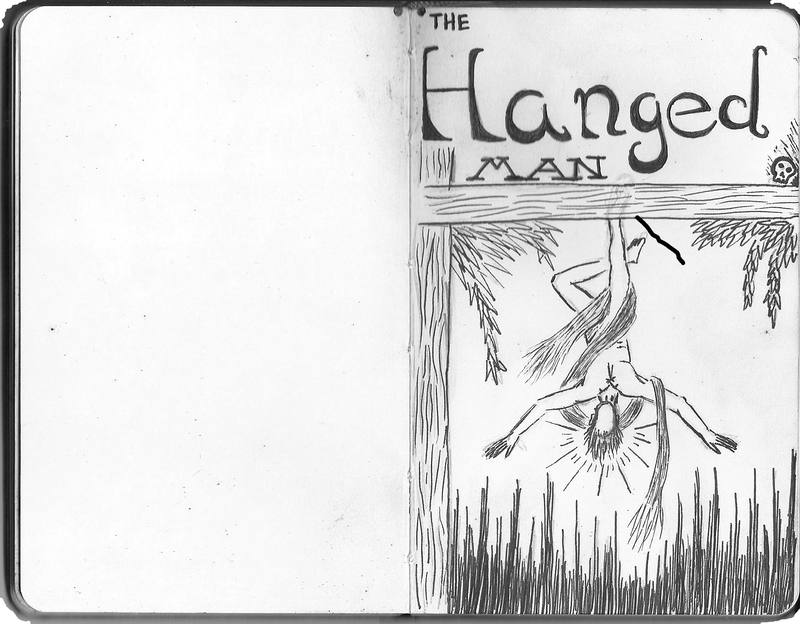 “The Hanged Man” portrays a man strung up by the feet, but with a look of illumination on his face. Many scholars of the Tarot, including the late renowned British mystic Aleister Crowley, have painted this card as symbolizing forced sacriﬁce, martyrdom, & suffering, even inviting comparisons to Jesus Christ. In my study of the Tarot I have found it to mean none of these things. The Hanged Man is not suffering. He seems to be enjoying himself. The Hanged Man symbolizes the understanding that comes from letting go of your old worldview & your old view of your place in that world. What hangs on that cross is only his ignorance & with that gone he is free to do as he likes. For me, he symbolizes the City of Worcester. Worcester isn’t about ambition or success. In some ways it’s almost off the map. Neither the Hanged Man nor Worcester are into following the mainstream; they’re doing their own thing. When you drop out & flip your mind, you see things you otherwise wouldn’t have. The Hanged Man is the original, keeping it real, & at its best, this City is too.